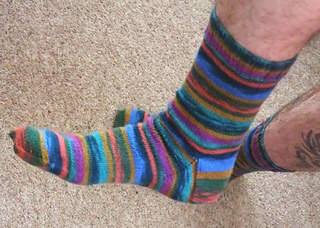 A photo tutorial and generic sock pattern for knitting simple socks. 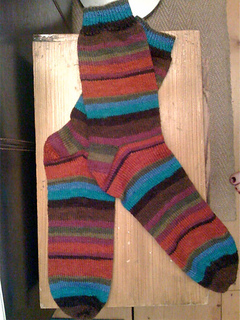 Includes a comprehensive chart for knitting many different sizes of socks (sizing given in EU sizes and length of foot in cm). Leaflet comes free with yarn purchase. 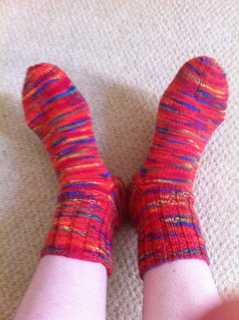 Often comes along with the leaflet Sock Patterns for Regia 4ply and 6ply, which can be found here.